My naïve self never knew there were other hydrating forms of H2O other than what came from my kitchen sink until my first trip abroad, where I learned quickly to say “tap,” because that was free, and free is important when you’re 18, broke, and traveling around Europe for the first time. But now, as I stand in my grocery store aisle picking up mixers for my drinks, I’m overwhelmed by the choices. Club soda. Seltzer. Sparkling Italian Soda. Tonic. La Croix. If it weren’t absolutely necessary in two of my favorite basic drinks and essential to building a basic bar pantry, I’d be running in the opposite direction, towards the tap. 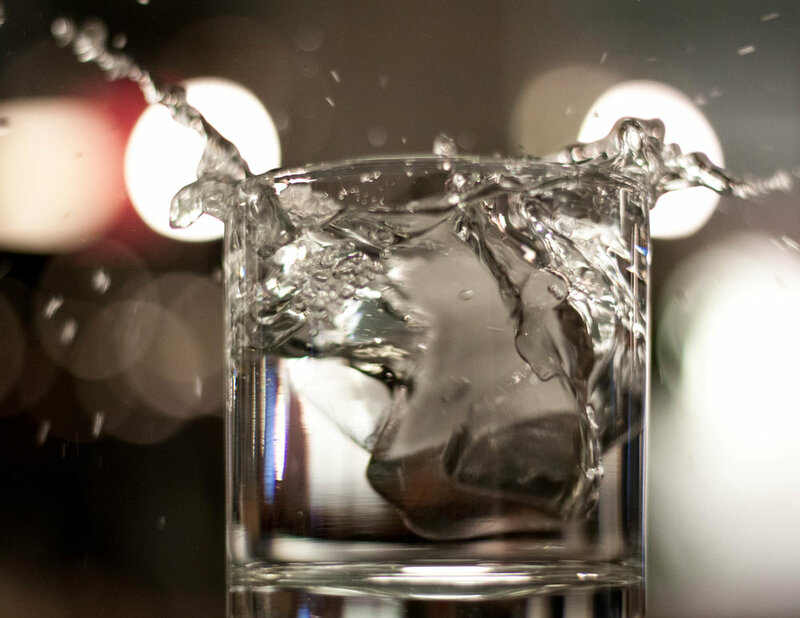 So, here’s a little break down to the bubbly water aisle: what they actually mean, and when to use them in your bar application. As to taste tests, I’ll leave you to the opinions of these guys. Only water that comes from a spring naturally rich (at least 250 parts per million) in minerals can be classified as mineral water. When a spring has naturally trapped gases that make the water effervescent, then you’ve hit on a natural sparkling mineral water spring. Every spring has a different mineral composition, with plenty of people having distinct preferences. No added carbonation is allowed, but some companies, like Perrier, capture their mineral water and carbonated gases separate, and mix them during bottling to ensure consistency. Sparkling water is best on its own instead of in a cocktail unless you happen to know what vodka can be highlighted by that particular level of magnesium. Or you are too lazy to go out and get any of the following below. You do you, bud. For centuries, the wealthy flocked to the small towns with these magical bubbling water sources to “take in the waters” as a medicinal cure for all their ailments. Of course, enterprising towns would then bottle and sell their water as well. One particular source of mineral water was from Selters, Germany (which also happened to be naturally sparkling). When the technology became available for companies to manufacture their own carbonated waters, they added minerals to it and called it “seltzer” water, just like the water from Selters. In its modern form as we know it, generic seltzer water contains no minerals, and is just carbonated water. It’s also colloquially known as “soda water.” If you’re looking for a bubbly addition to your cocktail, but not the taste, seltzer is the mixer for you. Any recipes that call for soda, like your basic “vodka soda” will be using seltzer as well. Club soda, on the other hand does have added minerals to mimic the taste of sparkling mineral water. When in doubt, check the nutrition labels! There should be a sodium count on the label, since the minerals tend to be in the sodium family, like potassium. Taste varies between brands. Use club soda to make our Rosemary Gin Fizz. Also, contrary to popular belief, this isn’t going to help get your wine stain out any better than water and soap. Out of everything on this list, tonic water stands unique. There is no replacement for tonic water. Tonic water is specifically flavored with quinine, a bitter antimalarial medicine derived from the bark of the cinchona tree. Originally, the bitterness of quinine powder led British colonialist to mix in soda water and sugar to mask the taste, and ended up creating the first recipes for tonic water. Naturally (read, because Brits), gin was added to the mix, and now we have our ubiquitous gin and tonics. Beware though, because there is sugar added to the tonic water, there are in fact calories. In addition, the flavors vary from brand to brand, so this is one taste test you might want to do! Personally, if I’m drinking a G & T, I’m going to want to match it to the particular type of gin. Since I mentioned it, and am flummoxed by it still, here’s the deal with La Croix: it’s billed as “naturally flavored sparkling water,” which means it is a carbonated drink, like seltzer/soda water, that’s flavored. As far was what they mean by naturally flavored, I’ll leave you here. Also, here. What are your preferences for cocktail-making? Tag us in your photos #cocktailsandcraft and share your recipes!